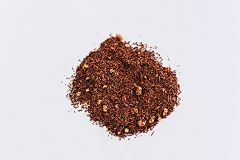 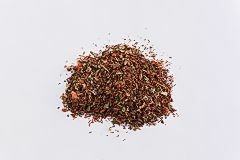 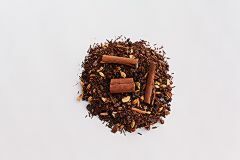 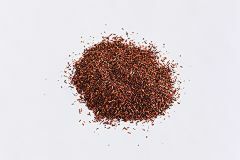 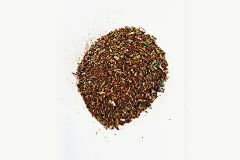 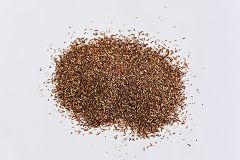 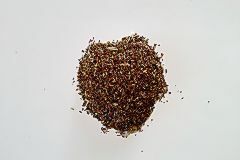 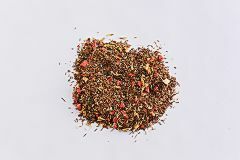 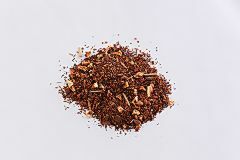 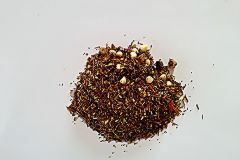 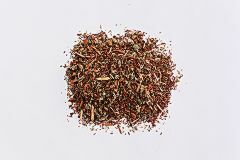 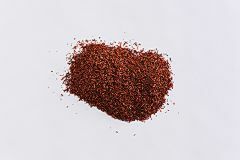 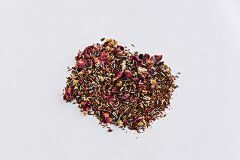 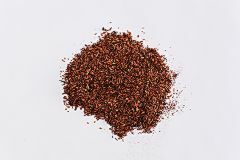 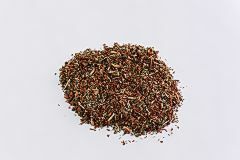 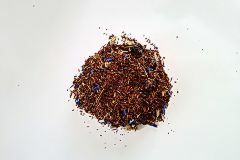 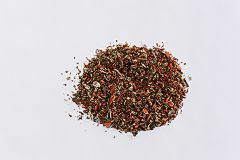 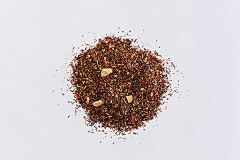 Rooibos (which is pronounced “ROY-boss”) is a relatively new entrant to the U.S. tea market, although popular in many other parts of the world. 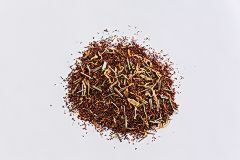 Actually considered an herbal infusion, it is naturally rich in antioxidants and vitamin C while being caffeine free and low in tannins. 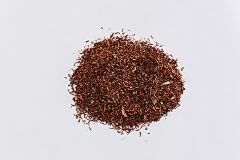 The distinctive red bushes are grown only near the Cederberg Mountains in South Africa. 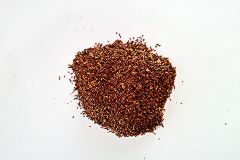 The Rooibos plant features sharp, needle-shaped leaves which are harvested and dried to make tea. 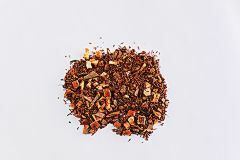 As a result, the color of the tea is naturally a deep amber, and is frequently describe as having a sweet, often mellow flavor.